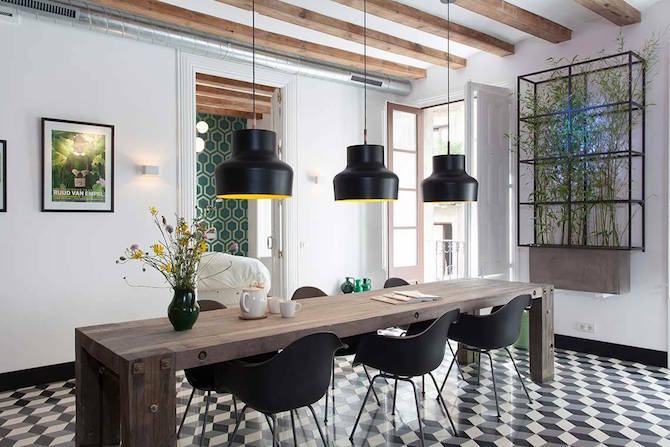 This apartment in Barcelona, Spain, formerly a student house, was completely transformed into a spacious and inviting contemporary home. 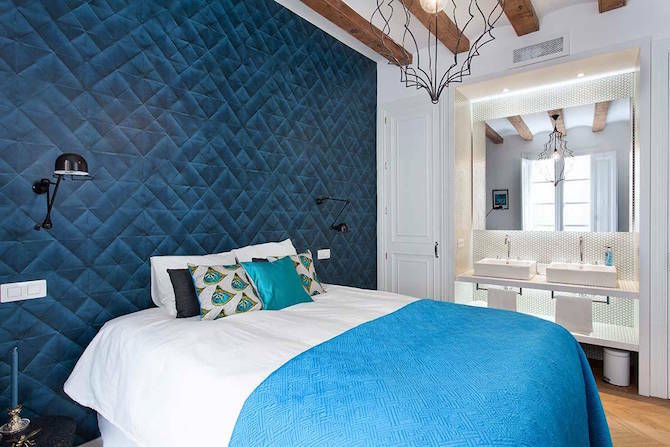 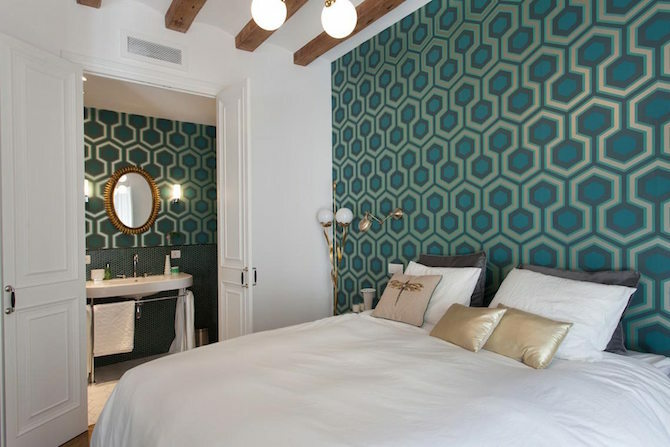 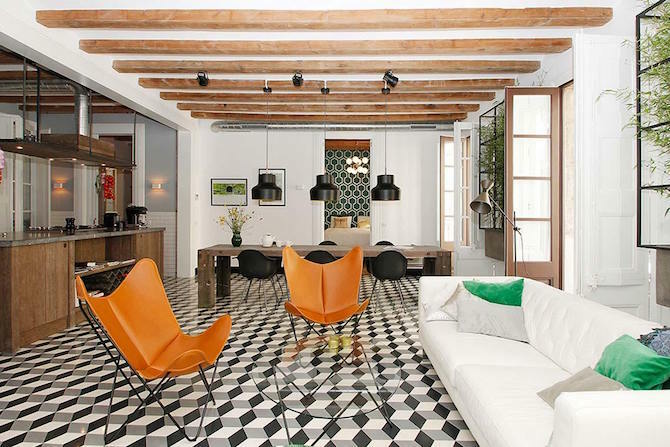 Each room has a different design element from the standout mosaic tiles to green hexagonal wallpaper, allowing the cool, unexpected aesthetic of the apartment to take center stage. 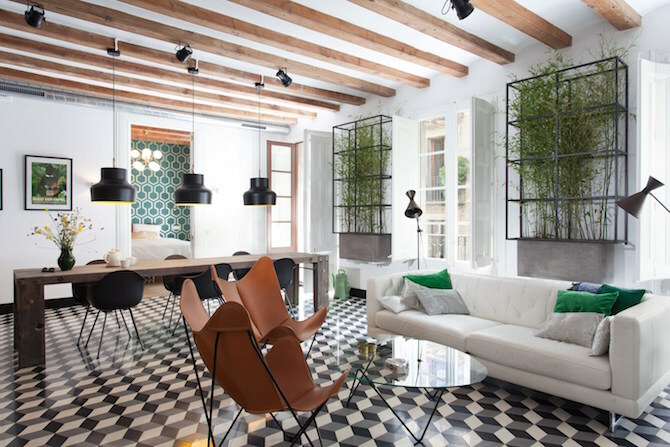 The results combine a keen eye for detail making this Barcelona apartment by Nobohome even more perfect. 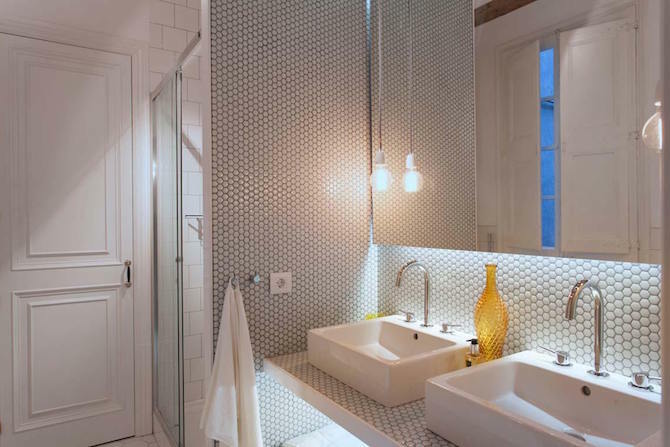 See more behind the scenes of this apartment here.